Congratulations to all the team at client station, Radio 100 in Denmark who have just pulled off the neat trick of launching a new morning show, a new daytime show, a new afternoon show, a new jingle package, a new station voice... and a shiny new logo too! 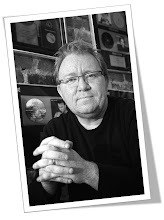 Refreshing your brand and ‘product line’ is as applicable for radio station as it is for any consumer brand. Consistency can become mundane over time. A predictable format can become unsurprising for the listeners without development. And as the world changes at ever increasing speeds and your brand stays the same, will it be left behind? Possibly – yes. And certainly, if it’s not given some development and the occasional refresh. So don't stand still. Evolve! So have a think about your station. What are the bits that are just great, and need no real attention. And what are the bits that if you had your way, could do with a ‘lick of paint’? Where do you get new talent from? Where do you get new talent for your radio station from? Developing the stars of tomorrow is an important job for any station. Making sure that there’s always a new generation of people coming through the ranks is vital to the lifeblood of a creative industry. There has been quite a lot of talk recently in the UK about the opportunities for young hopefuls to get their break being much curtailed. Networking, centralisation and syndication has resulted in fewer on-air position, fewer live overnight shows, and fewer places for people to learn their trade. At the same time, it must be said, we have also seen a growth in community and student radio. These places can be a great breeding ground for new talent. And let’s not forget ‘hospital radio’, which in the UK is often where young guys and girls who like the idea of being on the radio first put on a pair of headphones and speak into a microphone.... all be it speaking to people who are a captive audience, but nevertheless, it’s a start! 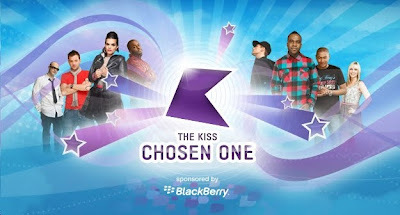 But talent is all around us, and to prove it, Kiss 100 in London have launched “The Chosen One”. With the tagline ‘We’re searching for the next Kiss Presenter – could you be in the line-up?”... it’s a great way to not only look for new talent, but to promote your station within its core audience. There are open auditions at some of the big shopping centres around London (great event marketing) or you can submit a demo. The whole thing is sponsored by Blackberry who want to position themselves as cutting edge and connected with ‘new things’, so there is an important revenue stream too. What a great piece of new year activity from Kiss! So, what are some of the ways to find new talent for your station? As discussed, do what Kiss are doing right now and hold a talent search. It’s one of the oldest formats in the book but works great. It’s a perfect way to get publicity and find someone good for your station. Make sure they get a decent programme out of it so you can continue to the PR for as long as possible! ‘Stand Up’ and ‘radio’ are very different, but if you’re looking for a new personality for your station (maybe on the morning show), often comedy clubs can be a great place to start. Many comedians have never thought about transferring their skills to radio, but with the right coaching it can be done. Look around your radio station. I bet there are quite a few people who are great entertainers in the office, and can tell a great story or always make the office laugh... or even just have a great voice. Try out a few in a studio one evening and see what they sound like. You never know, your receptionist might be a morning show star waiting to happen. You can train skills, but you can’t train attitude. Get people with the right attitude! It will pay off massively. I meet lots of new people every week. Sure, not all of them could be on the radio, but there times where I think “This person would be great on the radio”. So keep your eyes and ears open. Sometimes really talented communicators are doing a completely different job, but their ability could be transferred on to the radio with a bit of coaching and some encouragement. If your brand is targeted slightly younger and has a cool, credible vibe... then go check out all the cool clubs in your town. Is the big resident DJ well known? Would putting him on the radio add something to your brand? I remember back in the 90’s in Liverpool, my local station took some of the coolest dance music DJ’s and gave them a Saturday night show from 6pm to 3am each week, with different DJ’s popping in to do different hours!! As you can imagine, all the younger listeners loved hearing the DJ’s they knew from the clubs on the radio, and it added a real sense of kudos to the station. And by 2am, it really was worth a listen what they were getting up to in the studio!!! ;-) They may need some coaching to transfer their skills, but you could really add something to the image of your station. So keep your eyes and ears open. Your market is full of great new talent waiting to be discovered. You’ve just got to look in the right places! Morning shows thrive on creative and fun ideas. Here’s one that’s been done, not by a morning show... but by a US late night comedy talk-show. But this could easily have been done by a creative morning show team. A neat idea... executed well... and topped off with a celeb performer make for a fantastic bit of TV.